This limited-edition commemorative comes struck in five ounces of 99.9% fine silver, minted to a mirror-like Proof condition. No more than 500 of these magnificent proofs will ever be struck, so don’t delay – order yours now before these historic proofs are history! 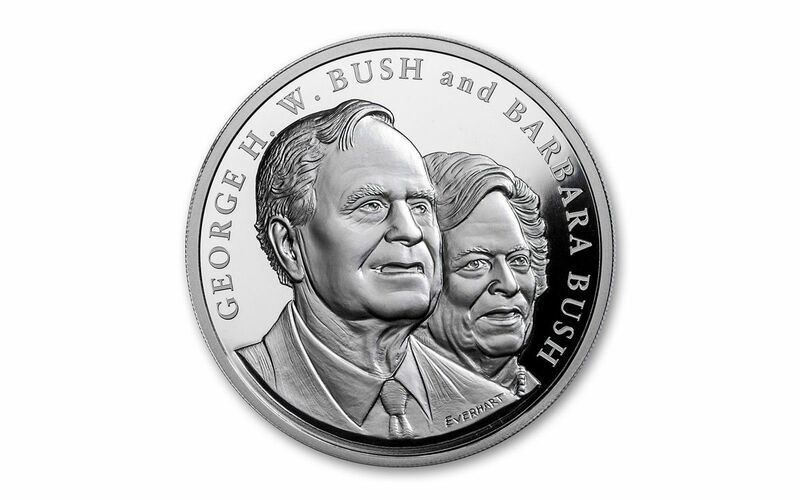 STRUCK IN HIGHLY-PURE SILVER – Each George & Barbara Bush Commemorative medal is struck in five ounces of highly-pure 99.9% silver. GORGEOUS PROOF CONDITION – Your George & Barbara Bush Five-Ounce Silver Commemorative Medal will come in gorgeous Proof condition with frosted details and mirrored fields. 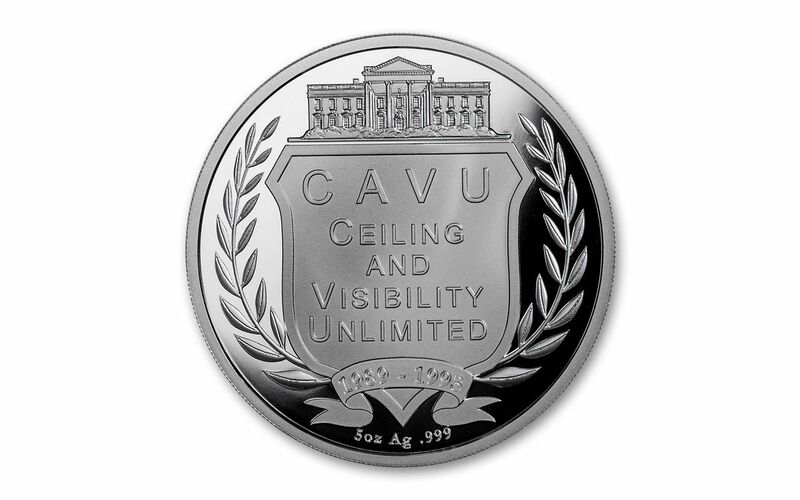 EXTREMELY LOW MINTAGE – No more than 500 of these five-ounce silver commemorative proofs will be struck. The legacy of President George H.W. Bush continues to shine brighter with each passing year. Pay tribute to this great man with the George & Barbara Bush Five-Ounce Silver Commemorative Medal. Click it to your cart today!